Level 4 – Advanced level dances : Varnam, Thillana. Karanas, Aesthetics and applications of Abhinaya. By the end of the 4th level the student will be ideally ready for ‘Arangetram’ with appropriate practice and honing of technique. These levels will be supported by theory on the history and philosophy behind the art form. 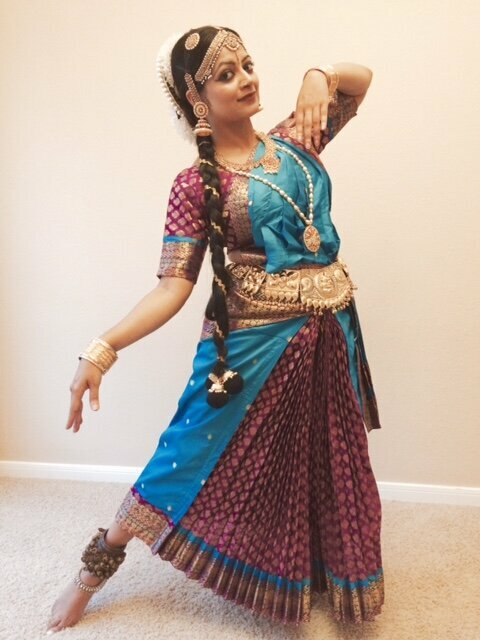 Students who have previously trained in Bharatanatyam can opt for appropriate class placement after an evaluation . For private lessons or training for classical dance competitions pls email us.